Take this opportunity to dive with the largest fish in the world! During the spring months of March, April, May, and June, Belize is lucky enough to be home to the enormous whale sharks along the Gladden Split. Specialty Tour During this time many species of fish, specifically the mutton snapper, use the Gladden Split as a spawning area where they release their eggs. Here, we see whale sharks arrive to feed on these eggs. Whale sharks can be as long as 30 feet. 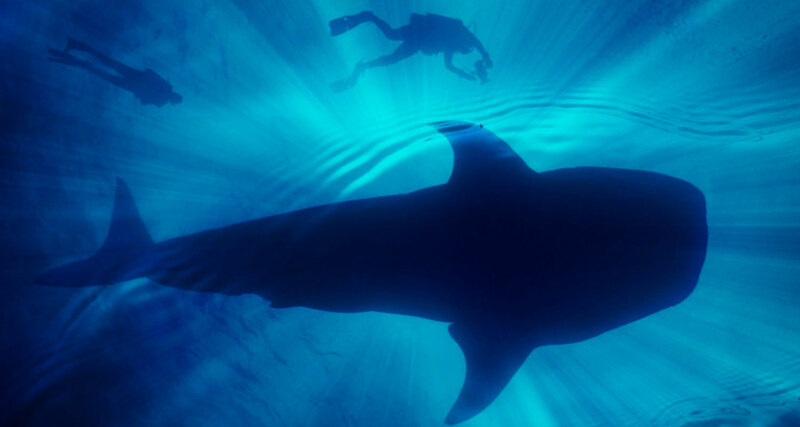 Despite its gigantic size, whale sharks are known to be gentle and curious which make for an interesting dive. When diving for whale sharks you will also see huge schools of fish along this 26-mile long stretch. This 2-tank dive site can be reached quite easily from Hopkins as it is located along the Southern coast of the Belize reef. Since special procedures are practiced to ensure the safety of the animals and divers, only certified advanced and experienced divers should attempt this dive. If you are a certified advanced diver, but do not have any dives logged recently, you might be prompted to do a refresher dive where the dive master will monitor your abilities and how your body reacts while diving in deeper water. He/she will then determine if you are able to participate in this dive. 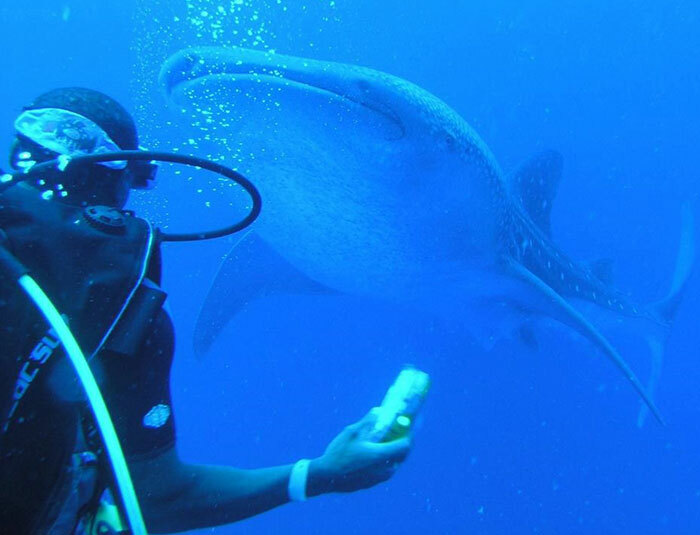 For those interested in snorkeling, the Belize Whale Shark Dive Tour can also be offered as a Snorkeling Tour. The Whale Shark Dive Tour is not included in our All Inclusive Packages.